I feel that weekends deserve something special for breakfast after the mad rush during the week. It’s a time to slow down and savour every moment of leisure. 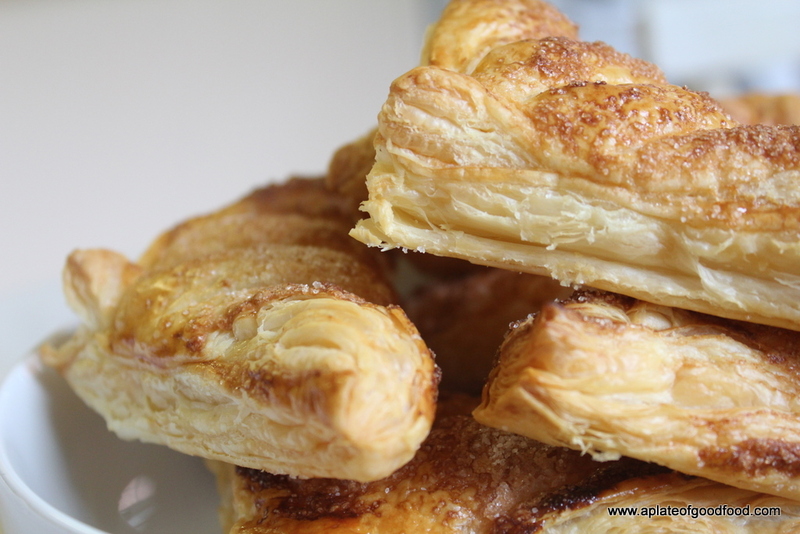 There’s nothing better to help you do this than warm pastries fresh from the oven and a steaming cup of coffee. This made six good sized turnovers. For the filling – Peel, core and slice apples into small pieces. Put them into a saucepan. Add the water, sugar and lemon juice. Place over medium heat, stir to dissolve sugar and bring it to a boil. 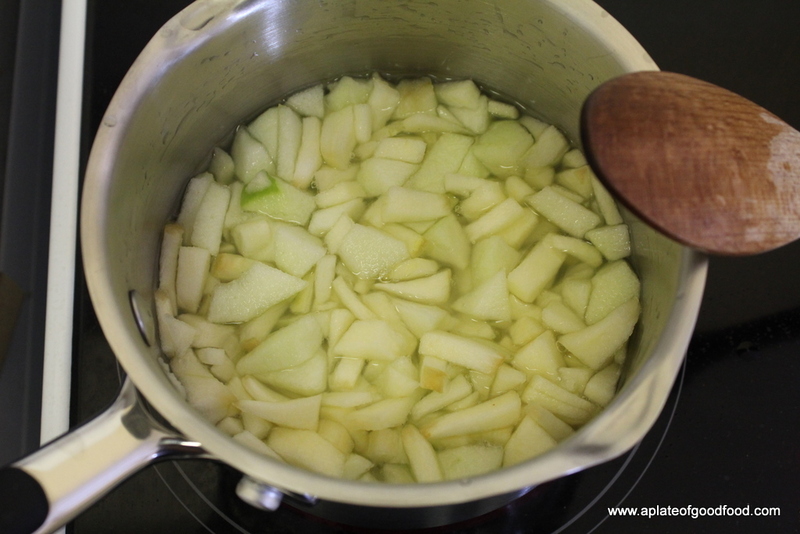 Lower heat to medium low, cover the pan and let it simmer for about 15 minutes or so to let the apples soften. I had to drain excess liquid from the pan after this process to avoid the filling from getting too mushy. 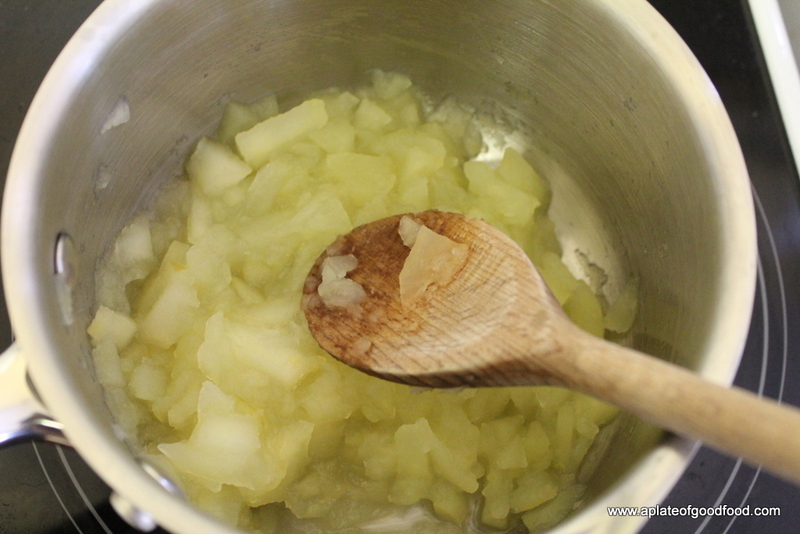 Break up the apple pieces using a wooden spoon or fork leaving it a bit chunky. Let it cool. Preheat the oven to 200 degrees Centigrade. Line 2 baking sheets. Lay out the puff pastry sheet onto a lightly floured surface. Roll it out until it’s a nice and big square. The original recipe asks for a 15-inch square to be cut into nine 5-inch squares. 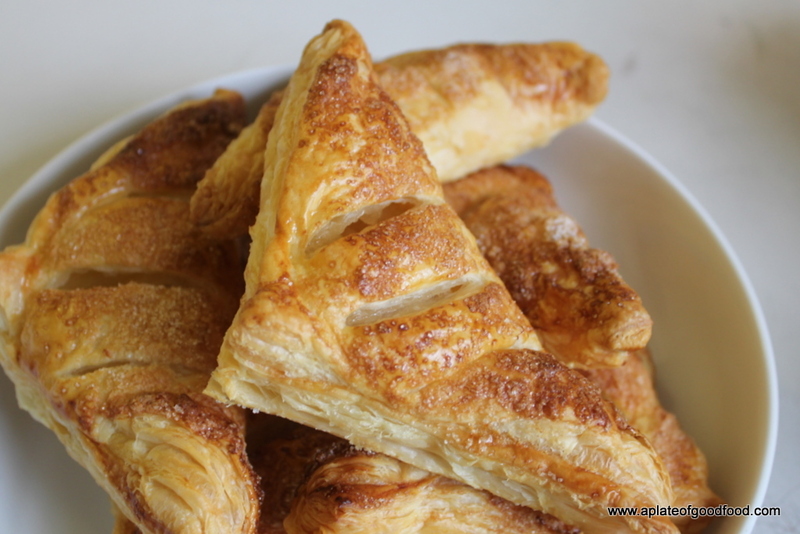 I just rolled out the puff pastry until it had a square shape and cut out as many squares as I could. I ended up with six equal sized ones at the end. 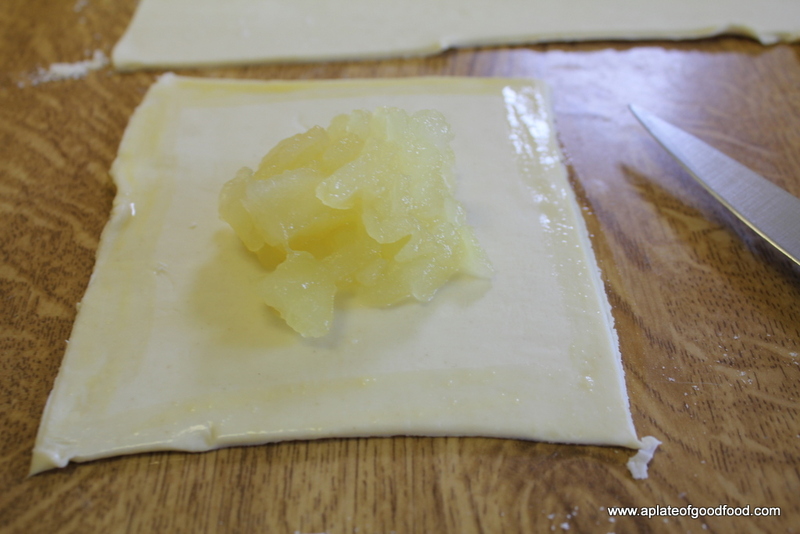 After cutting a square, place about 2 tablespoons of the filling in the centre. Brush the edges of the square with the beaten egg. 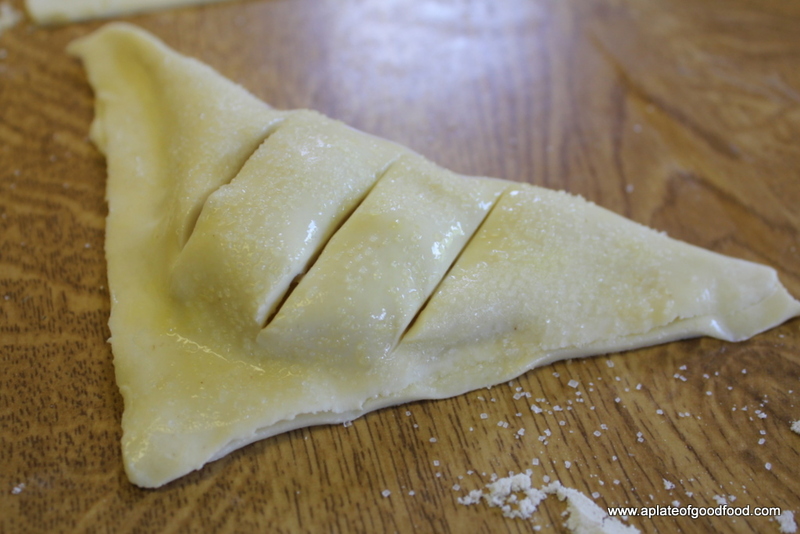 Fold the pastry over to form a triangle enclosing the filling and pinch the edges together to seal it. Brush the surface with the egg. Sprinkle some sugar on top. 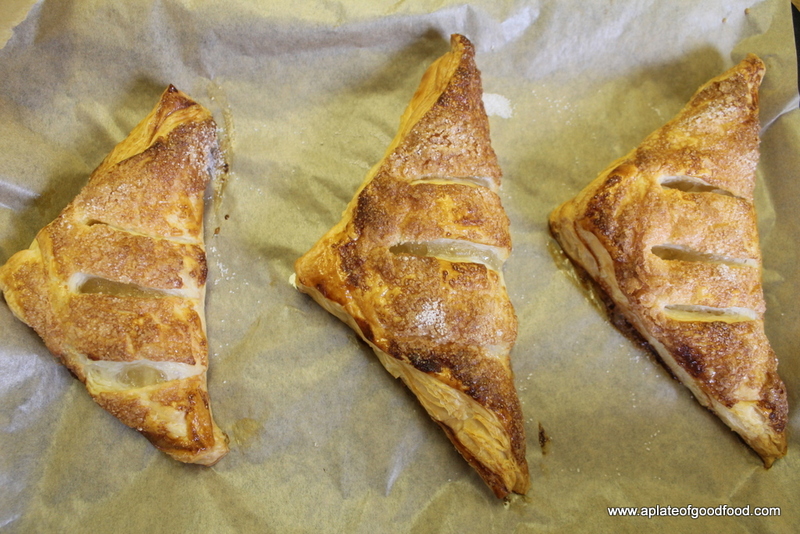 Make 3 slits in the middle of the pastry. Repeat the process with all the other squares. I tried to speed up the process by first cutting out the square, filling it and sealing it. I then lay all the squares on the baking sheets and brushed all of them with the egg, sprinkled the sugar and made the slits. Place one baking sheet in the upper half of the oven and the second one in the lower half and bake for 15 minutes. Lower the heat to 180 degrees Centigrade, switch the positions of the sheets and bake for another 15 minutes. Take out from the oven and let it cool a bit before serving. ooh they look delicious, a great idea!